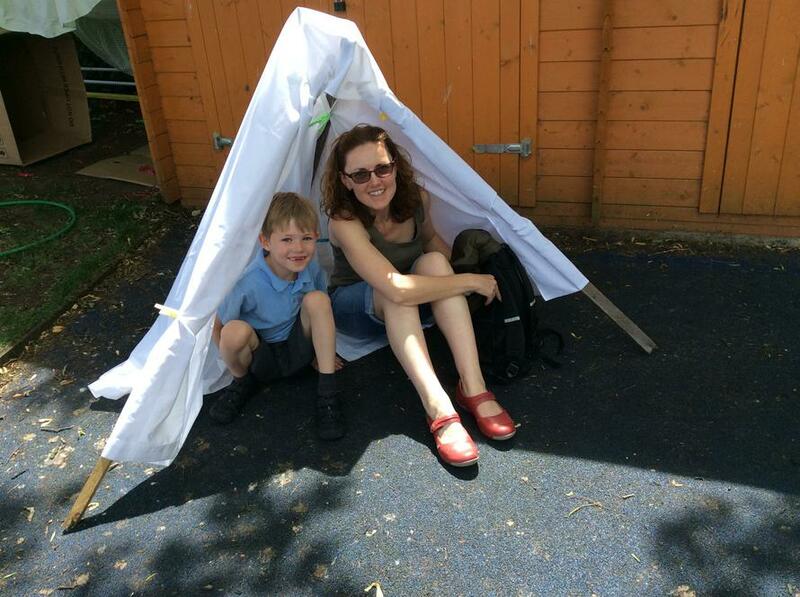 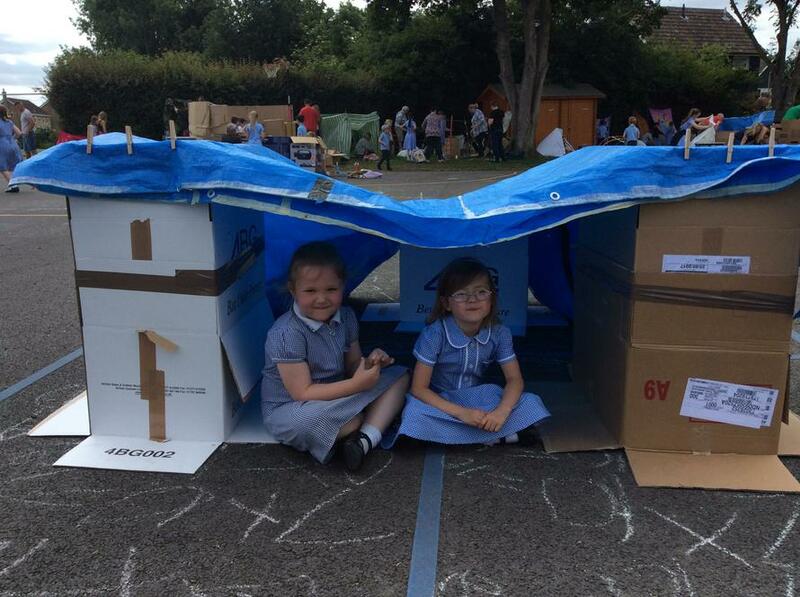 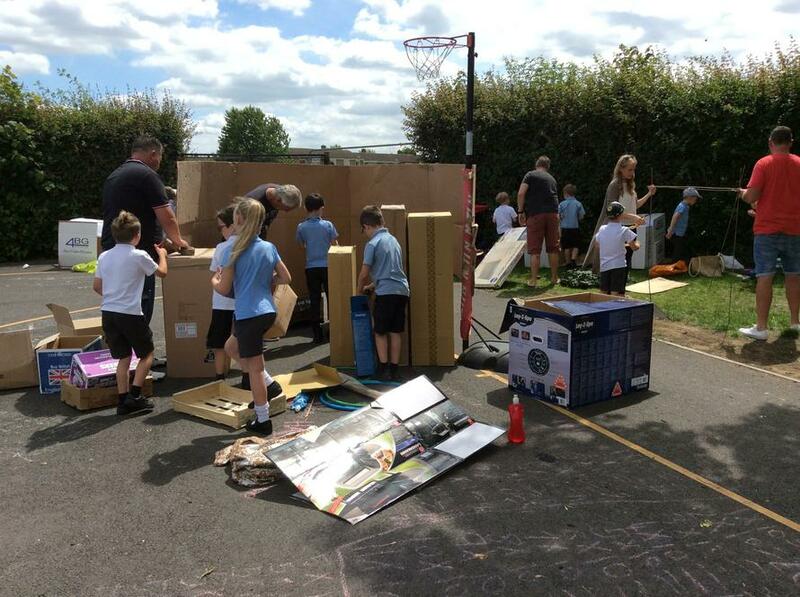 On Friday 16th June the whole school took part in Save the Children's Den Day. 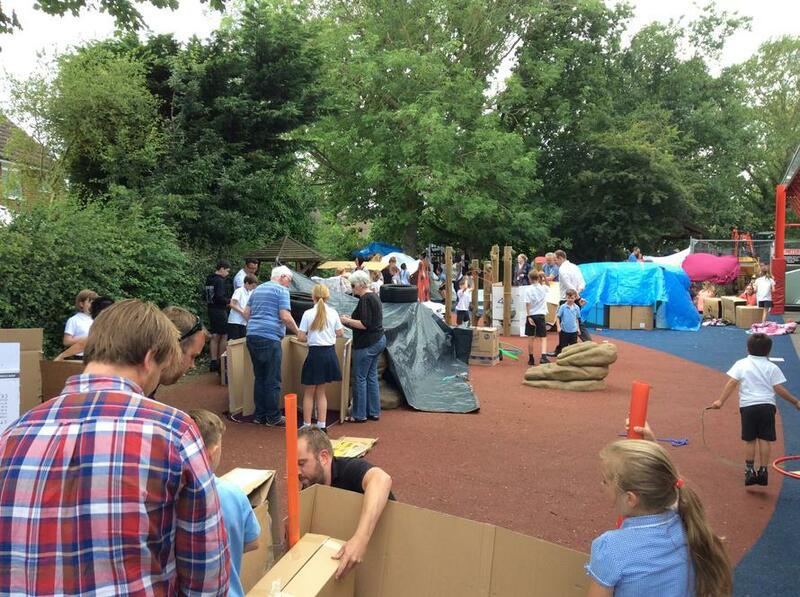 We were joined by a huge group of parents, grandparents, aunties and uncles who came armed with a variety of den building resources. 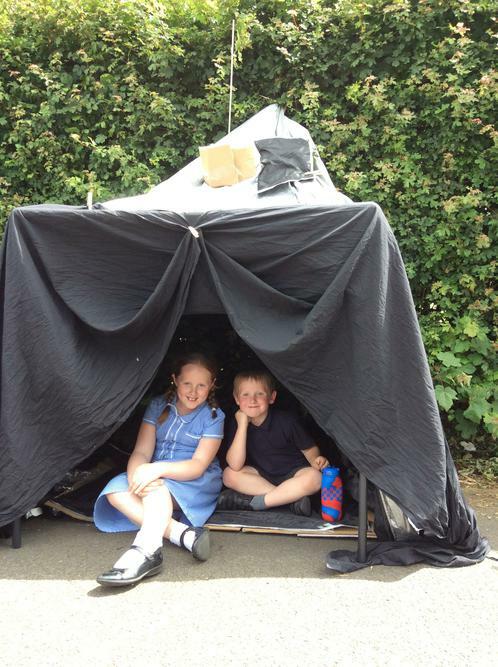 Everyone had a great time constructing some amazing dens. 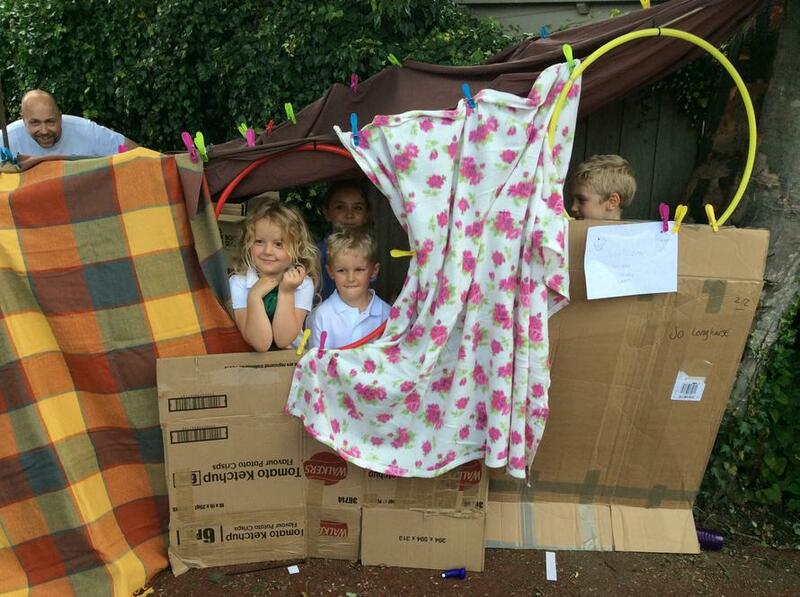 One had a cardboard television with remote control, others had tunnel entrances and bunting. 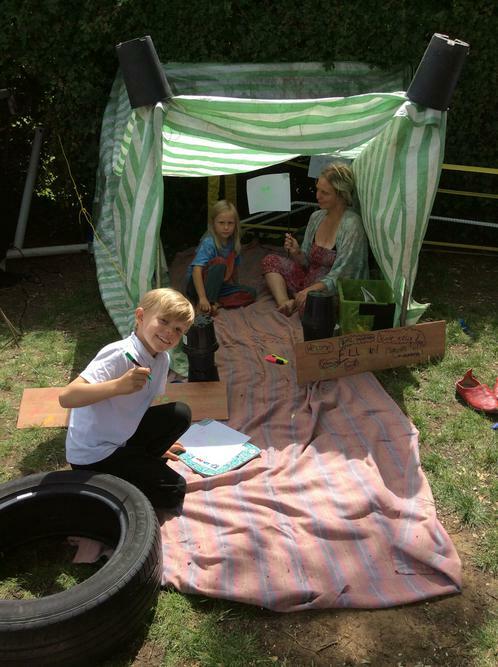 We bought cakes to eat inside our dens, read some stories and had a great time visiting other people in their dens too. 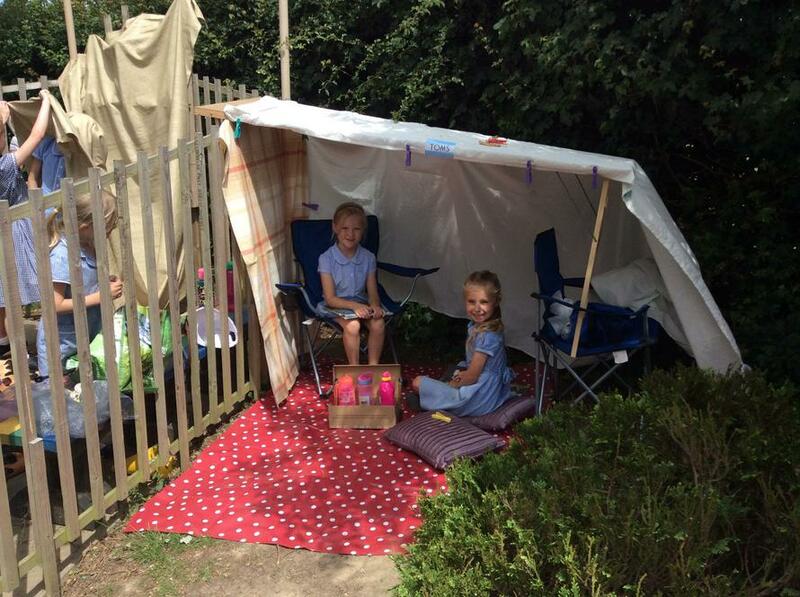 The best thing is that we raised £295 for Save the Children to help children in crisis all over the world.